A group of Democrat senators and representatives are asking Gov. Michael Dunleavy for clarification on Office of Management and Budget Director Donna Arduin’s business interests. Dunleavy hired Arduin to help him produce a budget that he has promised would align expenditures and revenue. He has proposed cutting $1.6 billion from the operating budget. 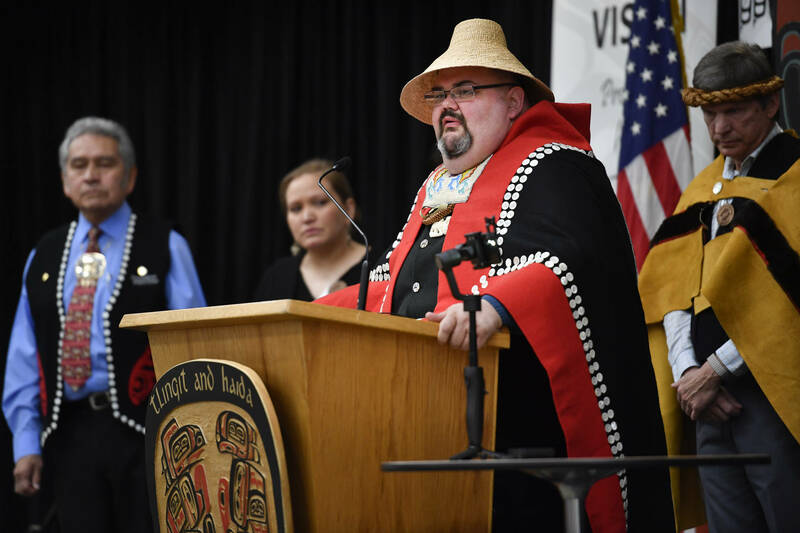 Arduin’s duties in helping the governor shape the budget are spelled out in Alaska statutes. In a letter obtained by the Empire, the group of lawmakers request clarity from the governor on Arduin’s business interests, based on her connections to GEO Group, which is a private prison corporation. Lawmakers who have signed the memo include: Sens. Tom Begich, Elvi Gray-Jackson, Scott Kawasaki, Jesse Kiehl, Donny Olson, Bill Wielechowski, as well as Reps. Ivy Sponholz and Zack Fields. Kawasaki, D-Fairbanks, said the power Arduin has on budget translates to policy decision and wonders if a position of such power should have to go through the confirmation process. That DOC statement appeared in a Jan. 21 Alaska Public Media article, and was attributed to a department spokesperson, who said in December that the department was considering making changes including privatizing prisons. According to the Los Angeles Times, in California Arduin helped then-Gov. Arnold Schwarzenegger’s administration make budget cuts when it was facing a multi-billion budget shortfall. After 11 months with the Schwarzenegger administration, she left her position. Arduin took a position on the board of trustees of Correctional Properties, a spinoff of GEO Group, according to a 2005 Times report. Arduin’s career move came under scrutiny because the Schwarzenegger administration reopened a McFarland, California prison, which was owned by Correctional Properties. The operations contract at the McFarland jail was given to GEO Group, according to the Times article. GEO Group has a registered lobbyist in Juneau this year.